Choking is caused when a piece of food or other object gets lodged in the upper airway. As a Chicago nursing home neglect and abuse attorney with years of experience, families of nursing home residents come to be with questions regarding feeding protocols at nursing homes. The elderly are at risk an increased for choking due to physiologic loss of muscle tone that comes with aging. Dysphagia or the inability or difficulty swallowing is common among the elderly. Due to this common known fact it is important to all nursing home residents to be monitored if a swallowing problem has been detected. Nurses and ancillary health care staff are often in the room with nursing home patients while they are eating and usually are most likely to identify patients with swallowing disorders. As an experienced Illinois nursing home injury lawyer, I know that when a swallowing problem is suspected the nursing home patient should be assessed by a medical professional to determine the cause. After testing to rule out any pathologic findings, a plan of action must be developed regarding the patients feeding status. Often time's elderly patients are referred to an occupational therapist. If the patient has the cognitive ability, these therapists can instruct the patient on techniques to use to prevent choking while eating. Many times the solution is simple, such as changing the patient's diet. The dietician can make changes to include specific consistencies and thickness of food. Other times it involves teaching the patient techniques, such as tucking in the chin while swallowing. 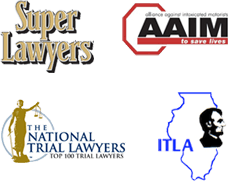 In my experience as a Chicago nursing home abuse and neglect lawyer, I have seen choking accidents cause brain damage and even death. The patients were deprived oxygen to the brain. Many times it appears that a choking injury may be accidental. In many instances choking is a result of nursing home abuse and neglect. Many choking injuries result due to the patient was fed the wrong diet. Perhaps, they were to be on a liquid or soft diet and were fed a regular diet. Many they were to be monitored while eating and were left alone. If this is the case, then it the fault of the nursing home and your loved one may have a nursing home abuse lawsuit. At Nemeroff Law Offices we have represented a number of families in nursing home choking cases.